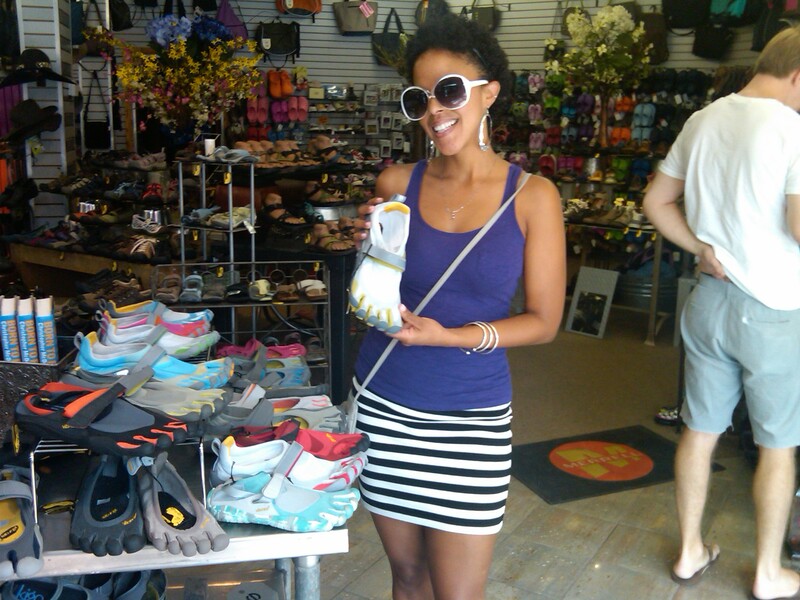 Your FitNut is in Hotlanta this weekend and was strolling the streets of Little Five Points with Mandi and Mr. Green. This is such a cute and funky area to walk around in. 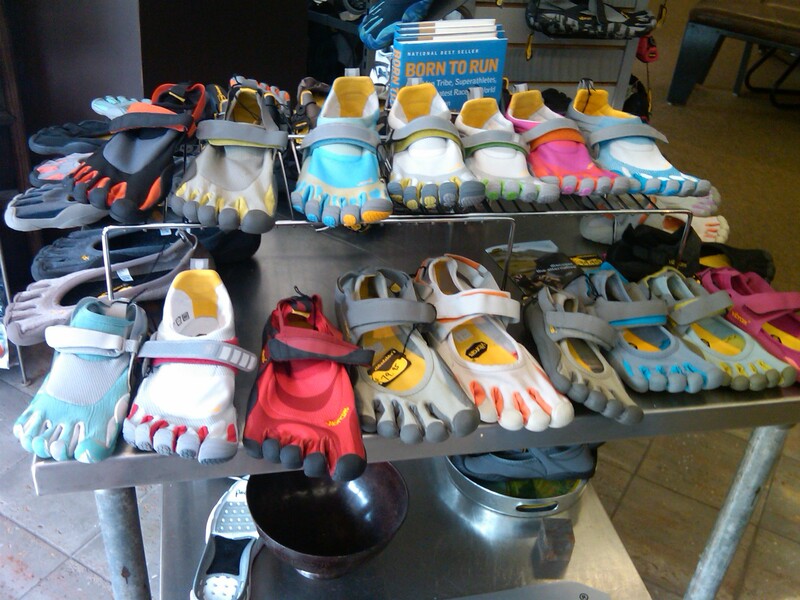 Anyways, we went into a sports store and I saw Vibram Five Fingers (or as I call them…toe shoes). 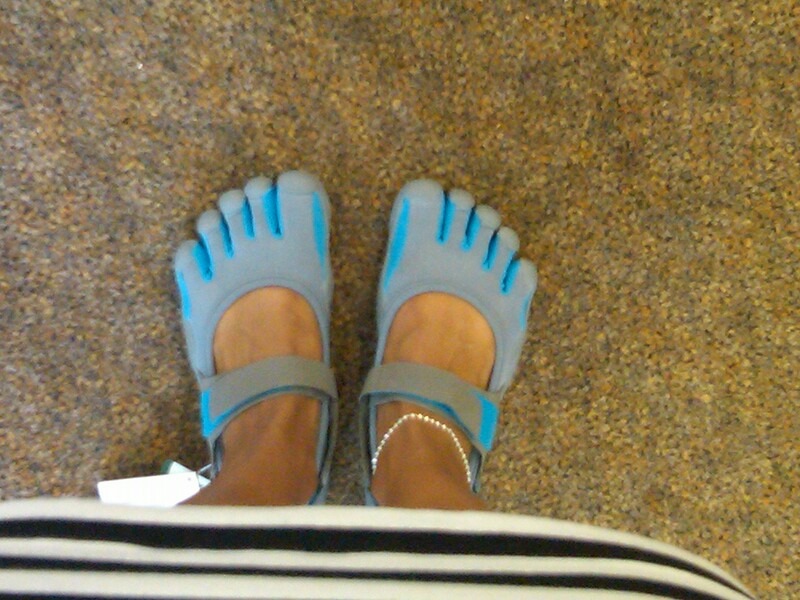 I’ve been dying for a pair of toe shoes forEVER. I’ll def post updates as I use the shoes more. Uber-excited! I have the blue Bikilas and love them too. 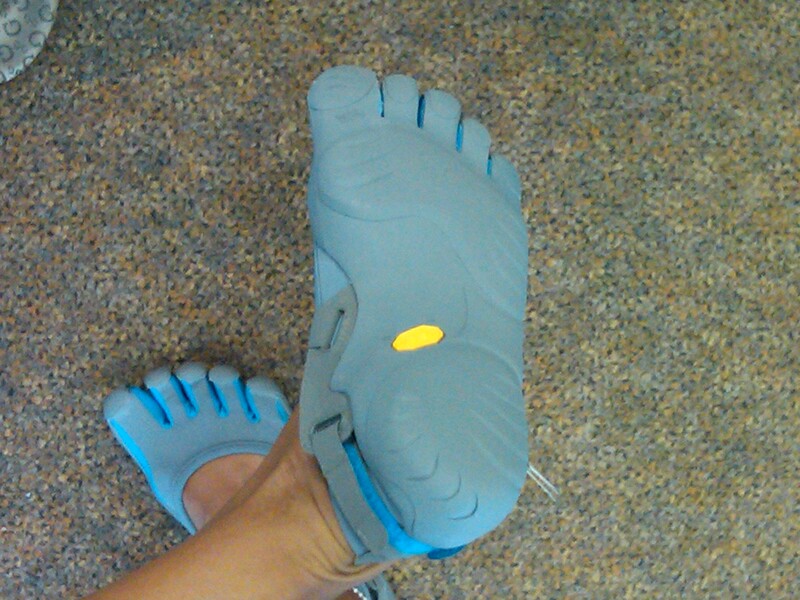 The best footwear ever and looks very unique as well. Have you tried the Bikilas yet? I was wanting to know if you ever thought of modifying the design of your site? It is well written; I really like what you have got to say. But maybe you could include a little more in the way of content so people could connect to it better. You have got a great deal of wording for only having one or two graphics. Maybe you could space it out better? Wanted to drop a remark and let you know your Feed isnt functioning today. I tried adding it to my Google reader account but got nothing. Have you given any consideration at all with converting your main web page in to German? I know a couple of of translaters here which would certainly help you do it for no cost if you want to contact me personally. Re: The person who created the remark that this was a good internet site genuinely needs to possess their brain examined. I have got one suggestion for your web page. It seems like at this time there are a few cascading stylesheet problems while opening a selection of web pages inside google chrome and internet explorer. It is functioning okay in internet explorer. Possibly you can double check that. I believe one of your ads initiated my web browser to resize, you may well need to set up that on your blacklist. I have got one idea for your site. It appears like at this time there are a couple of cascading stylesheet problems while launching a selection of webpages in google chrome and opera. It is working okay in internet explorer. Possibly you can double check this. Cool post ! Thanks for, visiting my blog mate. I will message you again. I didnt know that! Im getting a tiny problem. I cant get my reader to pick up your rss feed, Im using msn reader by the way. Even though I genuinely like this post, I think there was an punctuational error shut towards the finish with the 3rd section. This site has a lot of very helpful information on it. Thank you for informing me! I have got one recommendation for your website. It looks like there are a couple of cascading stylesheet issues when launching a number of web pages inside google chrome and internet explorer. It is operating alright in internet explorer. Possibly you can double check that. Hey, I just hopped over to your web page via StumbleUpon. Not somthing I might generally browse, but I liked your thoughts none the less. Thank you for making some thing worth reading. Oh man. This blog is amazing! How do you make it look this good . Nice post ! Cheers for, visiting this blog page mate! I will email you some time! I didnt realise that! I believe one of your ads caused my internet browser to resize, you might well want to get that on your blacklist. The structure for the web site is a tad off in Epiphany. Nevertheless I like your weblog. I may need to use a normal browser just to enjoy it. I adore this blog site layout . How do you make it!? Its rather sweet. It seems to me that this web site doesnt load up on a Motorola Droid. Are other people having the same problem? I like this webpage and dont want to have to miss it any time Im away from my computer. Re: The person who produced the remark that this was a good site actually needs to have their brain evaluated. It appears to me that this website doesnt load up in a Motorola Droid. Are other people having the exact same issue? I like this web site and dont want to have to miss it any time Im away from my computer. Jesus Christ there is lots of spammy comments on this site. Have you ever before thought about trying to get rid of them or putting in a wordpress plugin? Re: Whomever made the remark that this was a great website truly needs to get their head reviewed. Nice post . Thank you for, visiting my blog man! I will email you again! I did not know that. The look for your website is a tad off in Epiphany. Even So I like your site. I might need to use a normal browser just to enjoy it. Do youve a spam problem on this website; I also am a blogger, and I was questioning your scenario; weve got produced some good strategies and were looking to swap options with other individuals, be sure to shoot me an e-mail if planning to pursue. Jesus Christ theres lots of spammy comments on this webpage. Have you ever before believed about attempting to remove them or installing a plugin? I have got one idea for your webpage. It appears like there are a few cascading stylesheet troubles while launching a selection of webpages within google chrome and firefox. It is operating okay in internet explorer. Perhaps you can double check this. I have got one suggestion for your weblog. It seems like at this time there are a number of cascading stylesheet problems when opening a number of web pages in google chrome and safari. It is operating okay in internet explorer. Perhaps you can double check that. This blog site is extremely good. How was it made ! The design for the weblog is a little bit off in Epiphany. Even So I like your blog. I might have to use a normal browser just to enjoy it. How did you make your site look this sick! Email me if you want and share your wisdom. Id appreciate it! After I start your Feed it appears to be to be a ton of junk, is the problem on my part? This blog has a lot of extremely helpful stuff on it! Thank you for helping me. Please email me with a few hints & tips about how you made your website look this awesome, I would be appreciative. Could you email me with any tips on how you made this site look this cool , Id be thankful! Just to let you know your site looks a little bit strange in Firefox on my pc using Linux . Have you given any kind of consideration at all with translating your web page into Chinese? I know a couple of translaters here that will would certainly help you do it for free if you want to make contact with me personally. Jesus Christ there is a great deal of spammy feedback on this web page. Have you actually thought about trying to get rid of them or installing a extension? I Will have to return again when my course load lets up – however I am taking your Feed so i could read your web blog offline. Cheers.